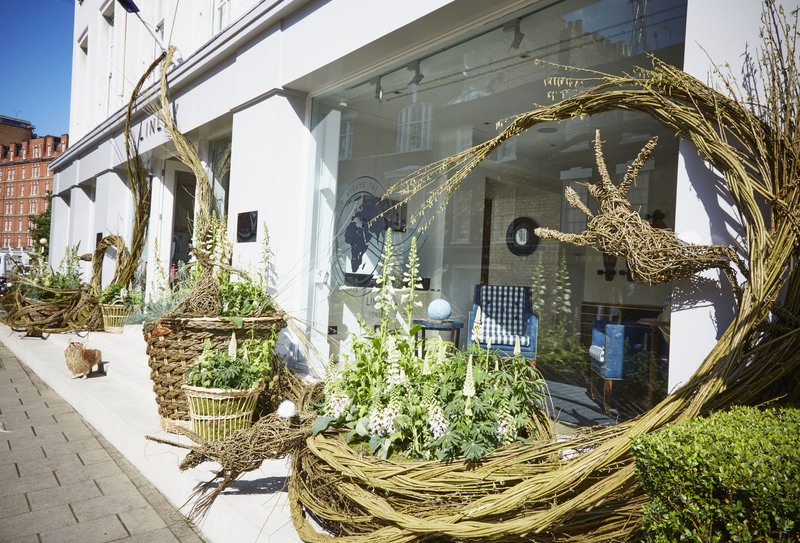 In 2016 I collaborated with renowned floral designer Tattie Rose Flowers and Coates English Willow to create the shop front display for Linley of London during RHS Chelsea week. 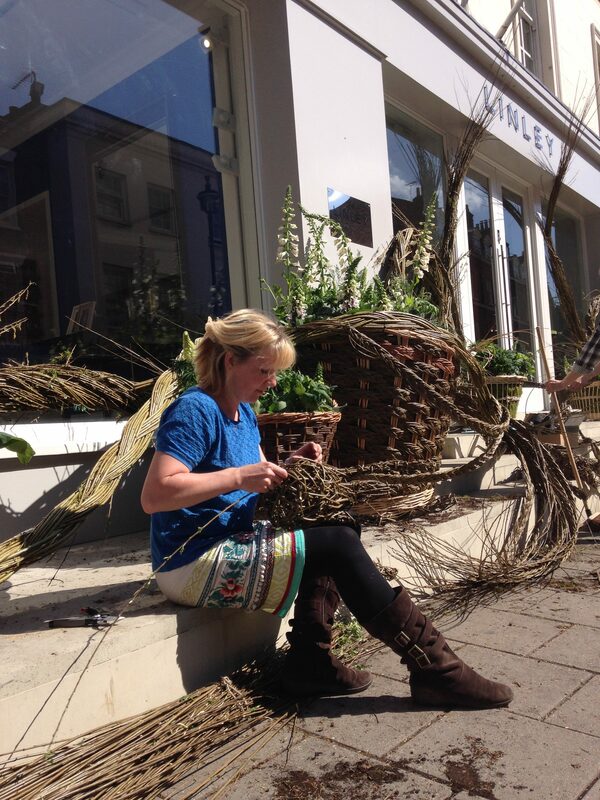 During the Spring I taught Tattie how to weave willow animal sculptures and in May 2016 accompanied by Jonathan and Nicola Coate we spent two days with Tattie and her team creating the showstopping display. 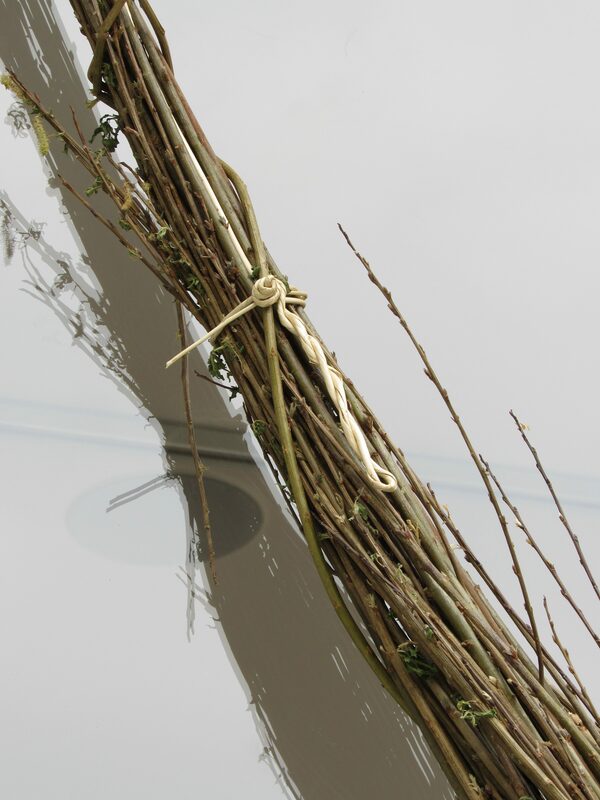 Our concept was to marry traditional and more contemporary willow weaving techniques, showcasing how English Willow is being used today. 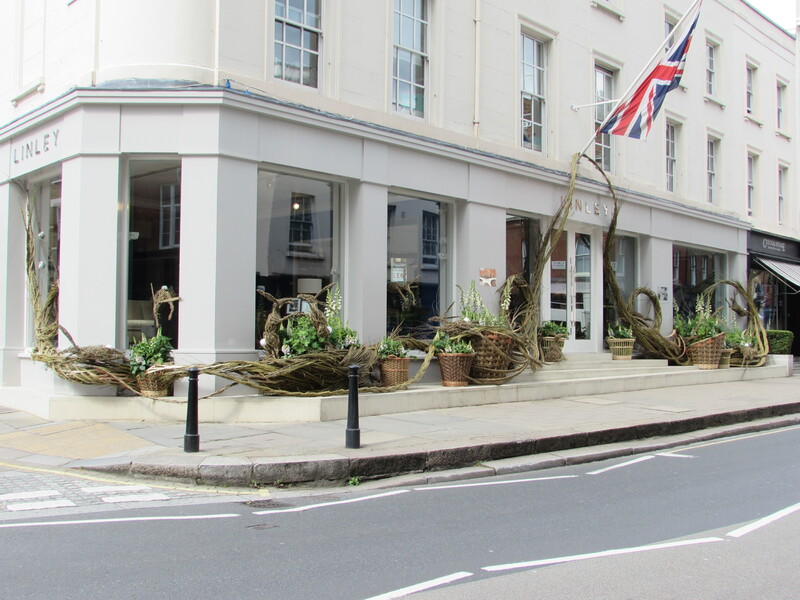 Wrapping around the entire shop front; traditional willow English baskets flowed into contemporary willow flower pods filled with white foxgloves. Dotted among the flowers were a number of willow leaping and sitting hares. 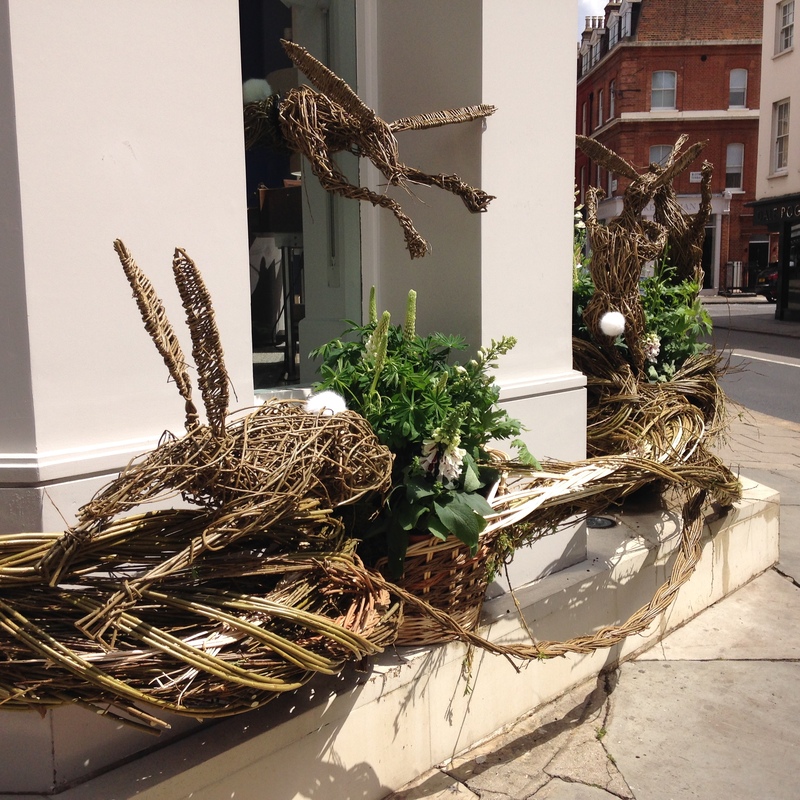 In 2016, 53 shops including Linley of London took part in the inaugural Belgravia in Bloom competition that celebrates Chelsea week. 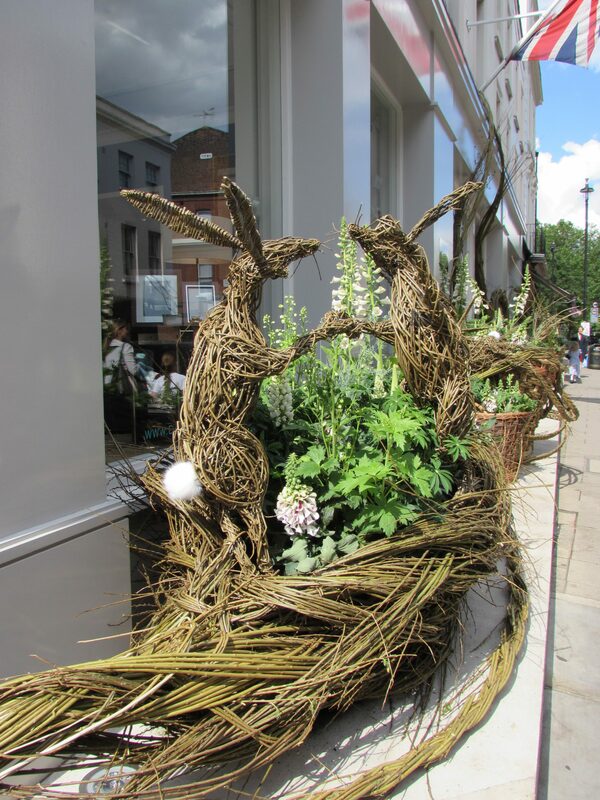 We were incredibly honoured to receive the Winner Award of Excellence for Best Floral Display. 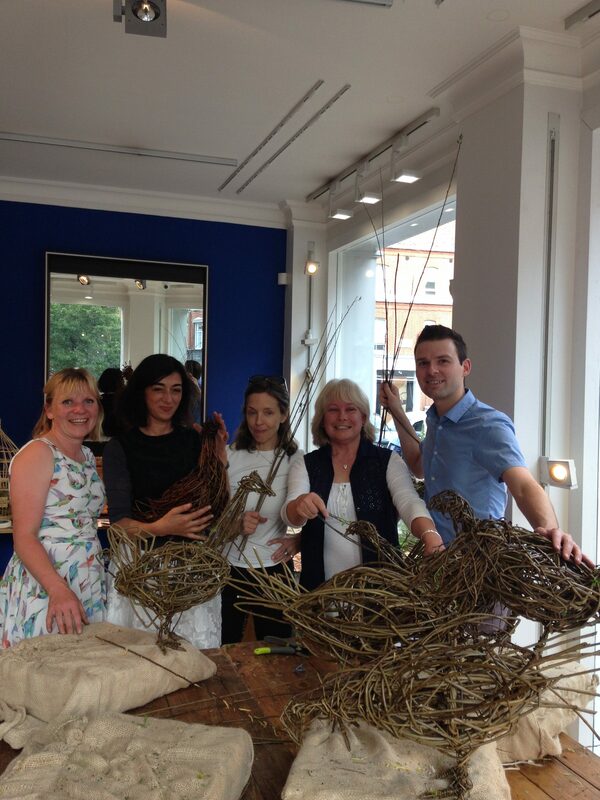 On the Saturday of RHS Chelsea week I taught a Willow Chicken & Cockerel Sculpture Workshop at Linley of London. 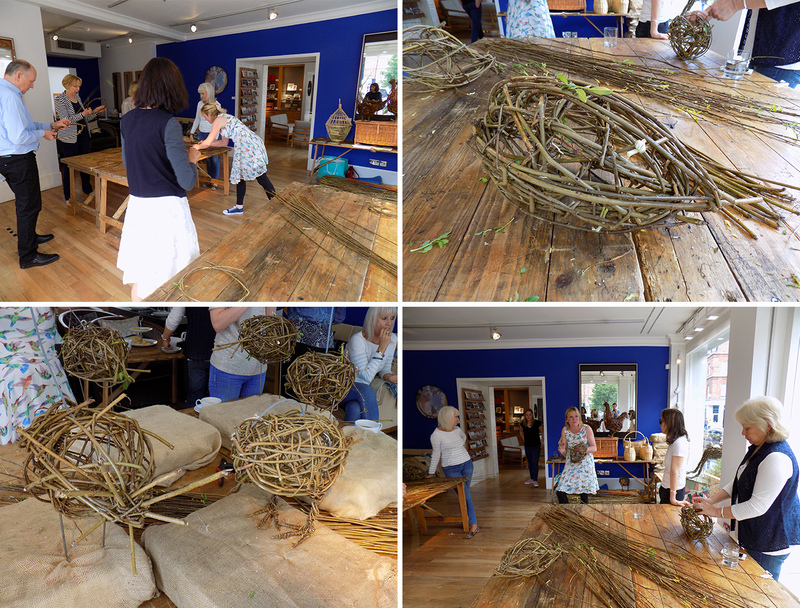 This was the first time that a craft based workshop had been taught inside the showroom. 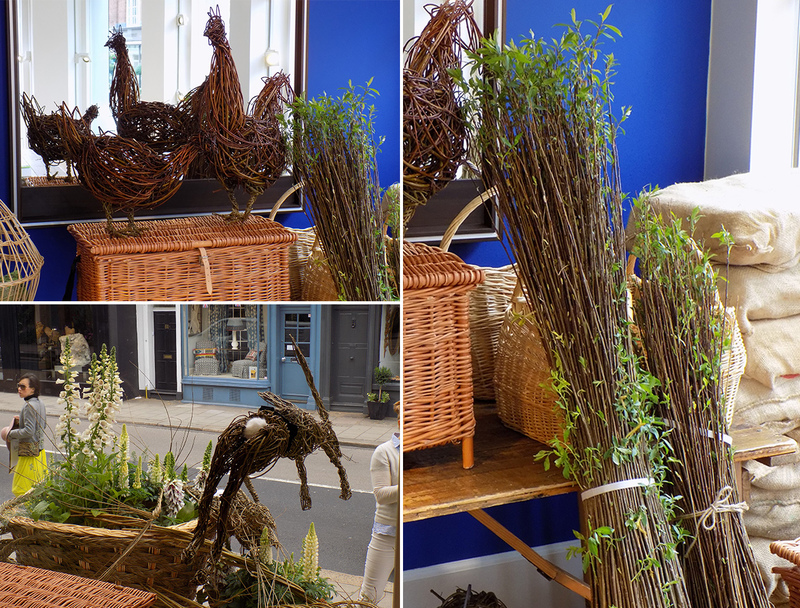 After my nerves had subsided, (there’s nothing like trying to avoid hitting beautiful bespoke furniture with willow rods), it proved to be a great success! 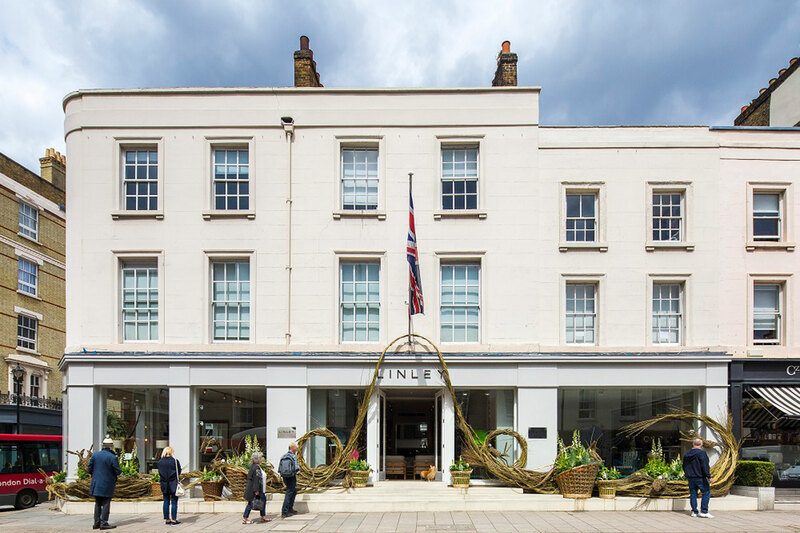 Thank you to the amazing staff at Linley of London for making me feel so welcome and also thanks go to the very talented Tattie for her vision and to Coates English Willow.